From Brisbane, Australia, living in Buenos Aires, Argentina. Spent 4 and half years living in London. Love Football, Rugby, Cricket and Rock'n'Roll. Having moved to Buenos Aires six months ago, much of my experience here so far has naturally been framed by football, such is my passion and borderline unhealthy obsession with the game. 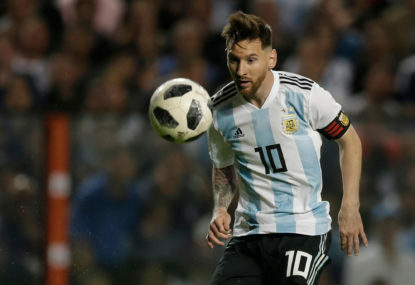 The forthcoming Copa Libertadores final between River Plate and Boca Juniors is an unprecedented sporting, cultural and social event in Argentina, with one newspaper already declaring that “the country will never be the same after this”. It is apt that the final, enduring image of Sam Warburton’s brilliant career was that of himself and Kieran Read, smilingly as the lifted the trophy together in the pouring Auckland rain, after last year’s epic Lions-All Blacks series. 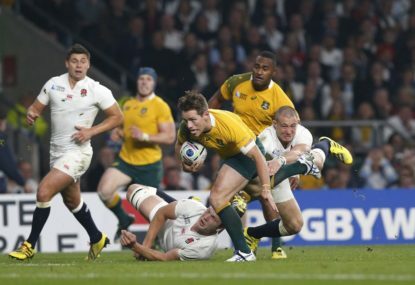 An Australian supporting England in most sporting endeavours is akin to high treason – an act so reprehensible, deplorable and unconscionable that the revoking of citizenships and forced registration on a public list would be fully justified. Utter the name Ned Hanigan in the company of Australian rugby fans and instantly the mood shifts, with music screeching to a halt, birds fleeing their nests and otherwise well-adjusted people whipping themselves in to an irascible rage. 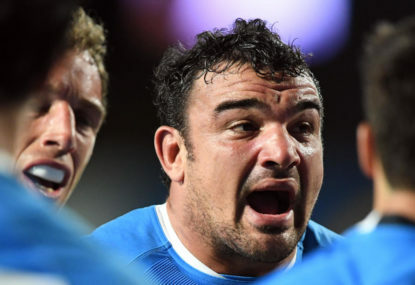 Stop me if you think you’ve heard this one before, but French rugby is still ill with under-performing players, disciplinary issues off the field and an administrative structure as sturdy as a soggy pain au chocolat. Scotland is a land of stunning natural beauty, indecipherable accents, some of the best sporting and live music crowds in the world, out of control binge-drinkers, funny bastards, serial rugby under-achievement, and of course, deep fried mars bars. 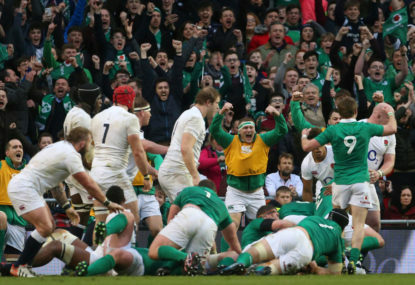 The commencement of the 2018 edition of the Six Nations heralds the return of international rugby, Eddie Jones, centuries-old gripes against the English, fantastic Italian hair, warm pubs and industrial amounts of Guinness to our lives. 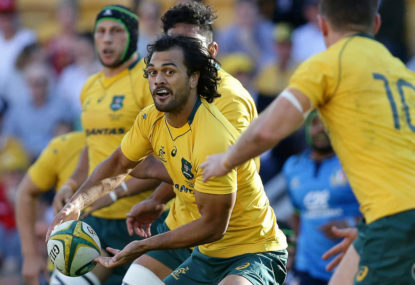 The annual Twickenham Test between England and Australia promises to be as tight as Kurtley Beale’s budgie smugglers, and Eddie Jones-like blue language is sure to be uttered by fans, players, coaches and possibly even Eddie’s mother this week. Karmichael Hunt’s professional rugby league debut for the Brisbane Broncos, in Round 1 of the 2004 NRL season, was a seminal moment for touch footy enthusiasts in Queensland. 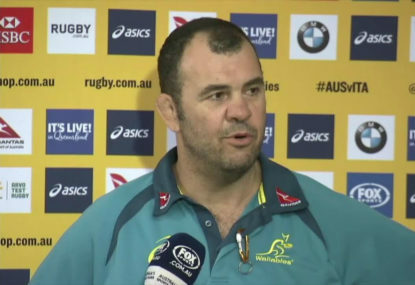 The news of Mario Ledesma’s impending departure from the Wallabies coaching set-up has sent the Australian scrum enthusiast community (all ten of you) in to mourning. 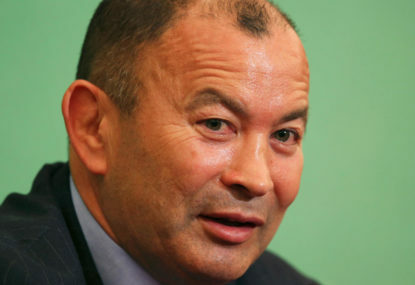 With it being two years since England’s early World Cup exit on home soil, and just under two years until Japan 2019 kicks off, Eddie Jones has officially entered (you guessed it) phase two of his reign as England coach. 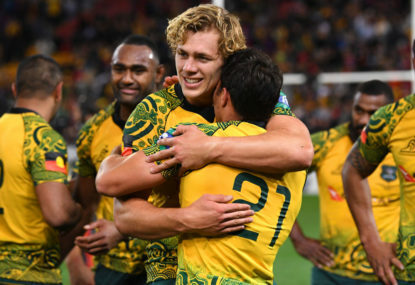 After the Wallabies vomit-inducing display during the first Bledisloe Cup Test in Sydney, it looked like only one Tom Petty song would sum up their 2017 – Free Fallin’. Grand final week still manages to stir up the passions of the most casual of casual sporting fans – your mum, the bloke at work who still thinks Alfie Langer or Wayne Carey play, the kid at school who doesn’t know a footy from a physics calculator. Who should host the 2023 Rugby World Cup? 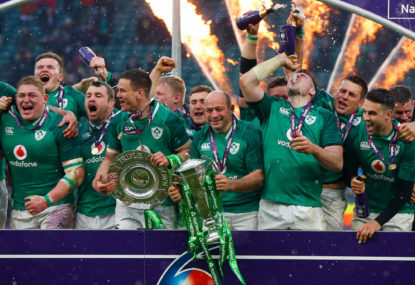 Ireland, France and South Africa are currently duking it out to see who will be crowned host of Rugby World Cup 2023, and the hyperbolic statements have ratcheted up a notch ahead of the November 15 decision. Argentina has long been one of the most mystifying, captivating and bewildering outliers in the rugby universe. 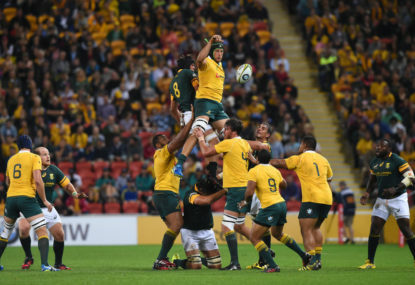 Compared to Bledisloe Cup games, the annual home Test against South Africa used to be the bogey prize for those in search of Wallabies tickets every year – the equivalent of getting a pair of socks for Christmas while your sibling received a games console, a surfboard or a new bicycle. Wasn’t a dig at true casual commenters such as yourself, more the ones that suspiciously appear to have been created just to argue over this issue. A lot of ‘Guests’ and Roar ‘Rookie’s’ with unfamiliar usernames populating the site today – I don’t imagine many of them will be sticking around to give their opinion on the rugby matches this weekend. Drunks, homosexuals, adulterers, liars, fornicators, thieves, atheists, idolaters – sounds like every rugby team I’ve ever been a part of! No I’m not a fan of either team, but a ticket came up and the opportunity to go was too good to pass up. I have adopted Ferro Carril Oeste (team in the 2nd division here), due to me being an Aston Villa fan and the fact Ferro’s original kit was based off Villa’s. Not too far a walk from home either. 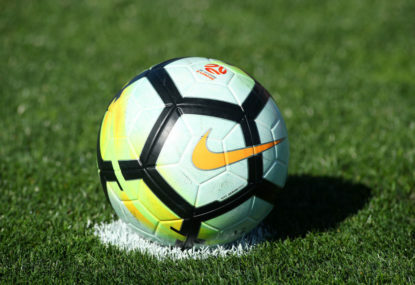 As a neutral was hoping it would come down to the final day showdown between Racing and Defensa, but they are deserved champions – played some great football this season. His exploits for Boca hold a lot of weight here. As an aside to all the crowd comparisons and stadium talk etc here, and because there’s nowhere else for me to comment on it, I was able to attend the Independiente vs Racing Club derby here in Buenos Aires last weekend. It’s probably the 2nd biggest derby here after the obvious one, and despite Independiente (the home team) being thoroughly outclassed, the atmosphere, both on the streets pre-game and in the stadium all throughout was unreal. The benefit of attending football matches here is its still a kind of unpolished, raw affair without alot of the corporate things we all dislike about modern football. Highly recommend! The official tweets from WR and Gosper are just such corporate weasle-word rubbish, the sort of guff you get from banks or insurance companies, and that in turn makes fans even angrier. Ridiculous idea – would kill off Lions tours and make test matches feel less special if they play each other all the time. The All Blacks test against England in November was special because it’d been 4 years since they played, whereas all the Wallabies tests at Twickenham and Cardiff are starting to blur in to one for me because we play them every year on the Spring Tour. Love seeing him and Genia back together, and he looks extremely fit and motivated. 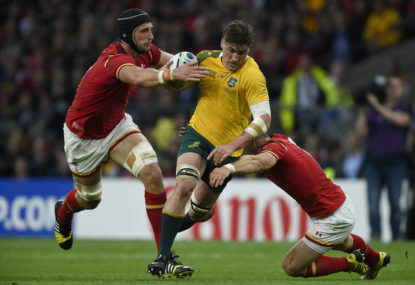 On a Welsh sidenote Nic – is Halfpenny ever going to return? The whole sudden removal from Ospreys last week wasn’t a good sign, and it’d be a shame if this ruins his whole year. Can’t take too much care with his symptoms though, especially with his history. Also Wales by 5 on Saturday. How on earth can they leave out the 94-96 one? Haven’t won it in nearly 20 years, live off the glories of their past legendary teams and prematurely implode in tears under their own absurd hype? 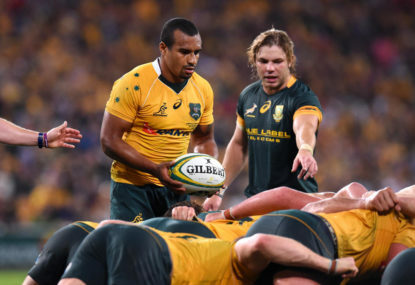 For the Wallabies sake lets hope the AB’s really are Brazil’s rugby doppelganger! 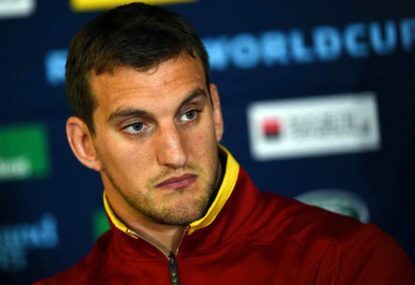 Ah Dominici – every rugby fan with an ounce of romanticism in them eternally loves him for the ’99 SF. Yeah I guess he does for some reason. Well that’s my argument shot to pieces! True – not denying they were very skillful, it wasn’t a dig at all. Yeah unclear example there from me – was thinking more Beauden and meant more at that key 18-21 age where NH clubs tell all and sundry to bulk up. Obviously he’d get in a team now because everyone knows he’s a very good test player now. JOC seems to be in a pretty good headspace at Sale, on social media etc he seems content and in a good place, not sure it’d be wise of him to dive straight in to the poisonous Wallabies atmoshphere atm. It’s a pretty emotive topic that gets brought up quite often, as I don’t think anybody wants to see lighter, quicker players ala Williams disappear from the game. I still feel the All Blacks, as usual,have the answer, and yet it’s almost hiding in plain sight to other countries – Mackenzie and the Barretts etc are good enough, so they play, simple as that, whereas they wouldn’t get a sniff in the Northern Hemisphere. 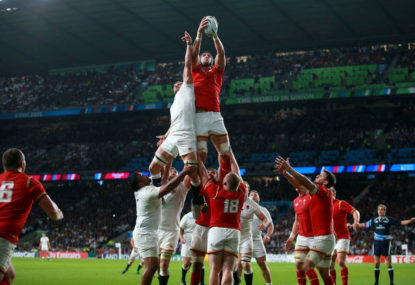 That monster Wales team from 2010-2015 or so took bulk and brawn to a new level which they’ve weaned themselves off a bit, but England seem to have caught the bug again, especially after the way they monstered Ireland. Christian Wade also a notable victim of the size-obsession. Thanks for the reply – yes I suppose I didn’t consider how much economic hardship there is in Wales outside of Cardiff. Sorry should’ve mentioned – thoroughly enjoyed the articles Geoff. Really good at explaining all the intangible frustrations with Australian rugby. 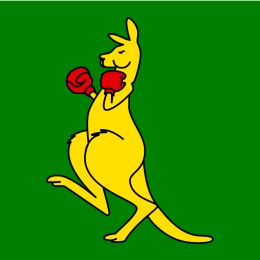 Your fleeting mention of Wales is a good comparison for Australia. They appear to be in the same situation except the phenomenal success of their national team papers over the cracks far better than us. Unlike us, Wales completely ballsed up professionalism from the start, and the creation of the regions under David Moffett (the controversial ex-NRL chief) started an all-out civil war, with the emotions of it still running high and festering to this day. There’s been recent talk of cutting a region, or merging them, and the once-proud and famous club game there is struggling massively, with Neath only just surviving a winding up order recently. As I said their national team has been consistently good for a decade, and they fill Millennium Stadium for every game, but you worry about what happens when Gatland leaves and the talent might tail off. I’m sure Nick Bishop can de-bunk everything I’ve just said. Ah my bad – should’ve seen that! Murray and Sexton looked extremely under-cooked. 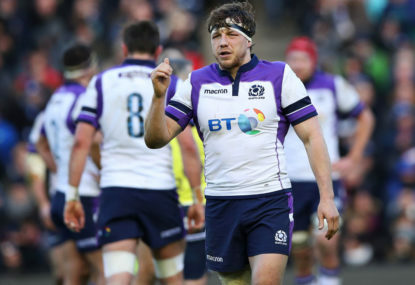 No surprise for Murray considering he’s barely played for Munster this season but I was very surprised Schmidt didn’t throw Carbery and Marmion on way earlier considering they’ve proven they can handle big games and situations before. Too many uses of “very” in that comment. England were very good. 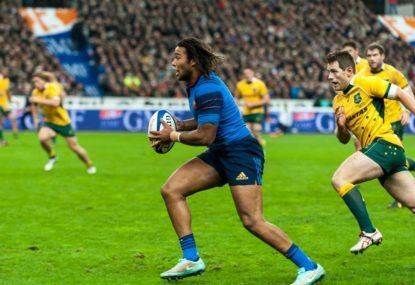 Mako V. was outstanding and the Tuilagi/Slade centre combo looked very dangerous. Very good point about Johnny May – used to just be a speed merchant but now looking very well-rounded. Bring on next weekend. 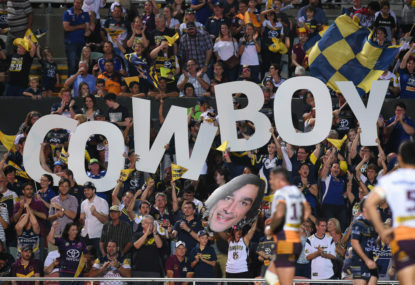 ’97 was the first year I was properly invested so it’d have to be going to Crushers games with my dad (including one against St. George where the bloke on the gate let us in for free because they were desperate to boost crowd numbers ha) and watching the ARL GF that year in Newcastle with my mums relatives and friends – party time!